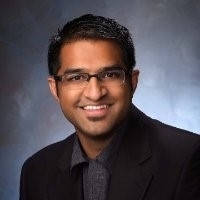 Regence BlueCross BlueShield of Oregon has named Rakesh (Raki) Pai, M.D., M.B.A, as its executive medical director. Based in Portland, Dr. Pai will lead Regence’s medical cost stewardship activities, driving health care cost affordability initiatives and engaging key employers and providers to enhance the quality of care for members. Dr. Pai has an extensive clinical and leadership background, and joins Regence from Providence Health Plan where he served as the Medical Director of Population Health Management. Previously, Dr. Pai was a cardiologist in Boise, Idaho and Reno, Nevada. He holds certifications in clinical cardiac electrophysiology and cardiovascular disease. “As we continue to collaborate with providers to create value-based care arrangements, I’m confident that Raki will be a strong advocate for quality and affordability on behalf of our members,” said Richard Popiel, M.D., chief medical officer and executive vice president for Health Care Services at Regence. Dr. Pai received his medical degree from the University of New Mexico School of Medicine, and his masters of business administration from the University of Tennessee’s Haslam College of Business. In addition, he is currently enrolled in a master’s program for Health Care Delivery Service at Dartmouth College. Active in professional and civic organizations, Dr. Pai serves on the Board of Trustees for the Oregon Medical Association.